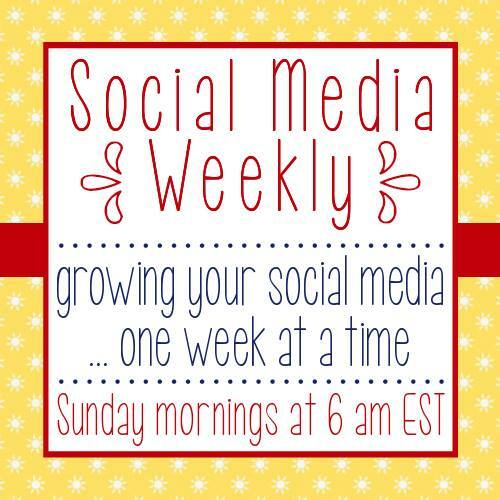 Welcome to Social Media Weekly! We're here to make sure all of us have the best possible opportunities to make connections with each other on Facebook, Pinterest, Twitter, Instagram, and Google+. Each week, we will focus on a different social media platform. This week, it's Instagram. Link up your Instagram account, then go make Instagram CONNECTIONS with everyone else who's here! Thanks for the party Joy! Hi Joy, hope you're enjoying your weekend and thank you for the Social "Instagram" party! I love to link up with your social media weekly. Thanks for sharing. I followed everyone. Thanks for the party Joy! Have a lovely weekend. Hi Joy! Happy Monday! Thanks for hosting this link party! Have a great week!